Essential Safety Tips to remember when using a power drill - Purros Machinery Co.,Ltd. 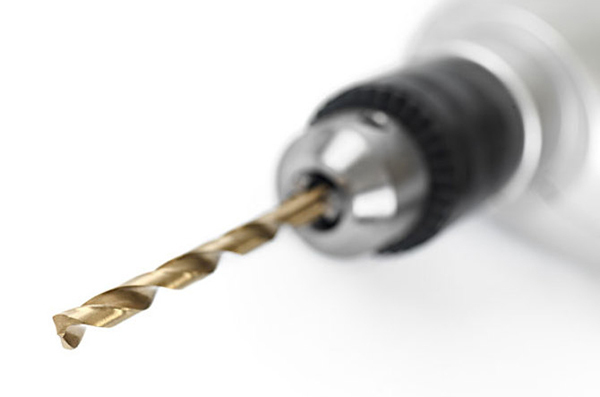 The operation of a power drill throws about tiny residues from the surface that is been drilled. These tiny particles fly about and may enter your eyes if you are not wearing safety goggles. If you have particles from wood or metal in your eyes, it can be seriously painful and difficult to remove. To avoid the discomfort and pain that could result from this type of accident, make sure to always keep a pair of sturdy safety goggles on whenever you are working with the power drill. The vibrations produced by a power drill can be intense, especially when it is used on high torque. The friction created by the drill and the work surface can also build up high temperatures that could lead to injury. This makes wearing of thick work gloves when using the power drill extremely important. The work gloves prevent the drill from injuring you and also ensures that the high temperature of the drill doesn’t scald you when you try to loosen the chuck or change bits. Whenever you are working with a power drill, make sure you are wearing a thick protective jacket. Avoid long clothing as these can become entangled in the work surface. Furthermore, long hair should be restrained and out of the way and don’t wear jewelry such as wrist watches, rings, and bracelets. The chuck helps to hold the drill bit in place when it is in use. Power drills usually have a keyed or keyless chuck. In a keyed chuck, a special key is used to turn the chuck until it becomes tight. But you can tighten a keyless chuck with your hands. After every drilling operation, make sure you switch off the power of the drill before loosening the chuck to remove or change the drill bit. It is necessary for the chuck to be tight as this will prevent the drill bit from coming off in the middle of a drilling job, potentially causing harm to the operator and people in the vicinity. Make sure the drill bit used with the power drill is suitable for the job and material. When you use the wrong bit for the wrong job, the job requires more energy to execute, and the quality will be poor. Additionally, the extra strain on the power drill can damage the machine. Once you complete every job, make sure you switch off the power drill and unplug the power cord if you are using the corded version. Don’t ever attempt to change drill bits when the power drill is still connected to a power source. Most power drills usually have safety latch which can be used to prevent accidents when the drill is not in used. Pressing the power button by accident can cause serious injuries. In case you need to keep it powered, remember to use the safety latch. Note: when your drill bit is dull, please use the drill bit grinder (drill bit sharpening machine) to repair it and make sure your drill bit is working properly. After using the drill bit, please clean it and keep it. Posted in Technology and tagged drill bit, drill bit grinder, drill bit sharpening machine, drill bits, power drill, Protective clothing, Safety Tips.